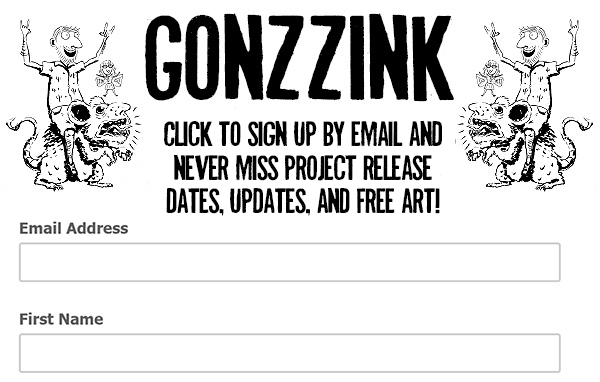 Gonzzink in the UK & Mexico, Gofundme is now launched! Its official I am going to the UK and Mexico! *Screams* My mentor and I took the time to put together a 13 page proposal that we have been shopping around at my University in hopes of getting some funding. However, it definitely won't be able to cover all the costs needed to attend these trips that could literally start my professional career after I graduate. I have created a Gofundme for those who would like to donate to help me on this amazing opportunity. I have posters, shirts, and postcards available as rewards tiers, but feel free to donate as little or as much as you'd like. Every dollar helps and whats even more helpful is you sharing it. I can't wait to represent Lamar University and Beaumont at the third largest documentary film festival in the world! There is way more info on the trip at the link above so do check it out if you can.